Planning a high school class reunion? 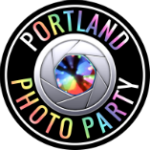 Portland Photo Party is a perfect entertainment partner. Your classmates will love the interactive features that allow them to take and print photos, record short videos, and then instantly post it to their Facebook page, Tweet it or email it. And classmates who could not attend will be able to watch your reunion celebration wherever they are in the world -- as it happens. They just watch the fun on your Facebook gallery. In addition, we can collect all the photos and videos produced throughout your reunion and compile them in an entertaining musical slideshow DVD which we'll distribute to each classmate soon after. The Portland Photo Party DVD will be a great keepsake of your reunion and provide a one-stop snapshot of all your classmates.